The Colorado quilt block is obviously named for the state. It is made up entirely of half square triangles. Placement of the colours in the quilt block will determine the focus and interest in the pattern. It is yours to discover. 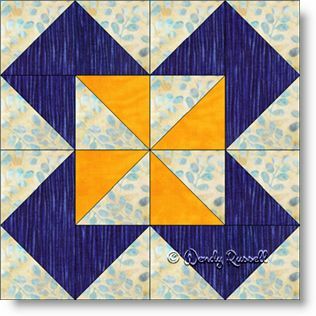 The sample quilt layouts are both designed using a side by side block setting. By adding sashing strips to one quilt, you get an entirely different look.